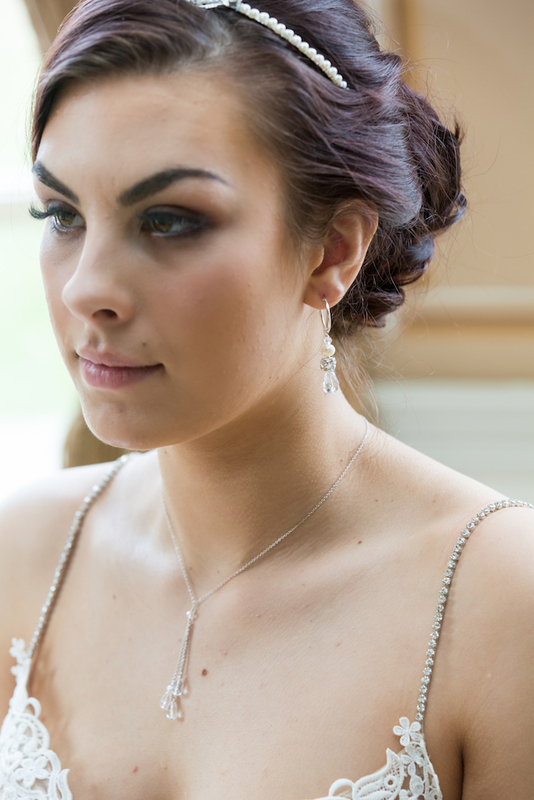 Celebrate your love of sparkle with the Lili Multi-Drop Crystal Bridal Pendant Necklace. Featuring a cascade of sterling silver, richly embellished with pear drop crystals, it will make a standout addition to strapless ballgowns, slinky wedding dresses, and beach inspired bridal designs with low necklines or off-the- shoulder detailing. 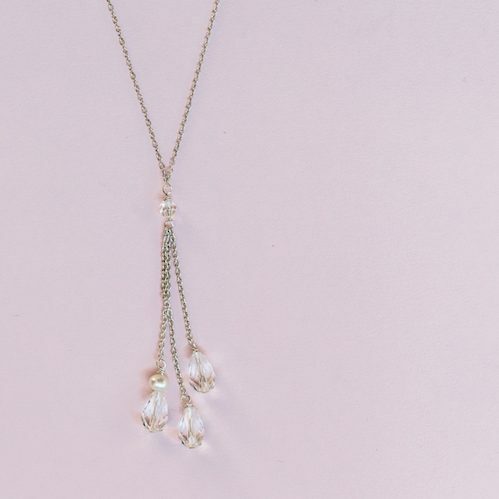 Handmade to order, this gorgeous wedding necklace features a premium sterling silver chain, a boltring fastener for quick and easy dressing on the big day, and a gorgeous pendant that adds length, light, and inimitable glamour to the minimalistic yet eye-catching design. Coordinate with other items from the Lili Collection for a show-stopping wedding day aesthetic. 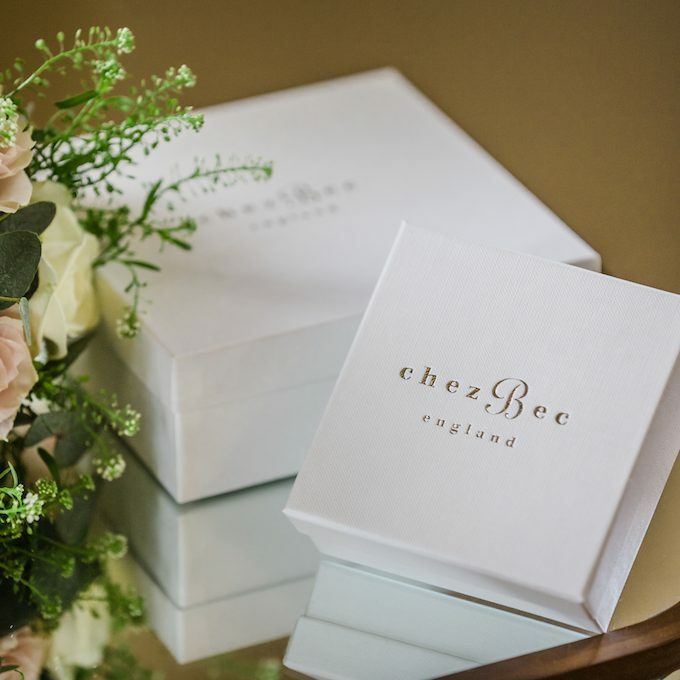 Each and every order will arrive beautifully wrapped by us in one of our exclusive white Chez Bec gift boxes as standard. If you are buying more than one item or set of items and would like each item to be separately gift wrapped and gift boxed, then please tick the box to purchase extra gift boxes. Extra gift boxes and gift wrapping is charged at £3.00 per additional gift box. If you do not purchase any additional gift boxes then all of the items in your order will be dispatched beautifully gift wrapped in one gift box. 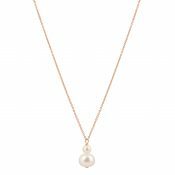 Materials: Shown in Sterling silver with Swarovski crystals and freshwater pearls. Also available in a filled red gold or filled yellow gold finish, just select your preference from the drop down menu. Be the first to review “Lili multi drop crystal bridal pendant necklace” Click here to cancel reply.